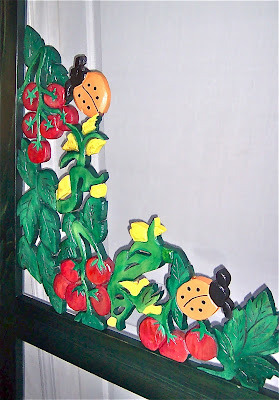 Custom Art Screen Door for a tomato greenhouse. Stained dark green and inset with a painted wood carving of vine ripe tomatoes and ladybugs. 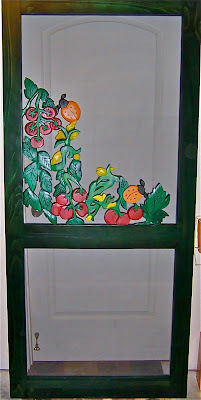 This screen door is constructed of cypress and measures 36" wide x 72" tall. Click photos to zoom. 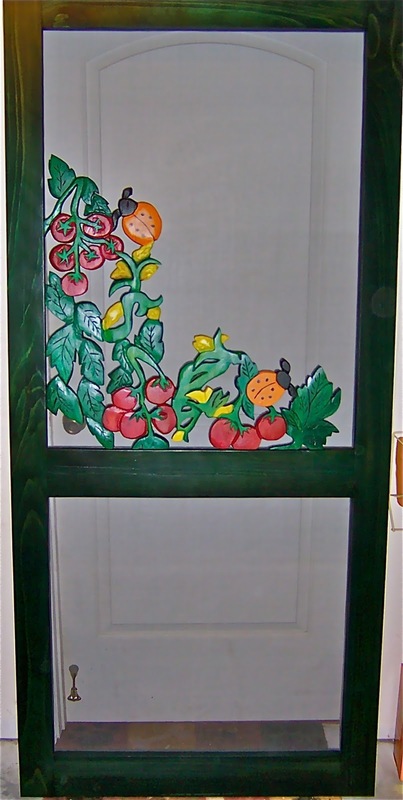 YOUR custom screen door(s) can be sized for porch, pantry, or cabinet; constructed from a wide choice of materials, art, and stain colors (including wildlife carvings, fired copper panels, etc)! A portfolio is available for design inspiration and we're delighted to work with you in creating exactly what you desire! 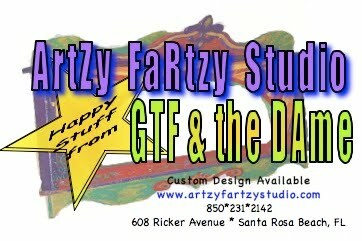 Contact www.artzyfartzystudio.com for a custom quote.